Rotherham United welcome Stoke City for this 5.30pm kick-off game today which is being televised by Sky. The Millers last home game saw them beat Derby County with a goal from the penalty spot but two away losses has seen them drop to nineteenth place in The Championship table. Millers Manager Paul Warne has doubts ahead of this game with two players looking to have to sit a number of games out. There has been speculation as to who these players might be but Warne is keeping mum. No body appeared to have go off with an injury at the City Ground last weekend although Jamie Proctor was replaced at half-time with Warne saying it was tactical. Definitely out of today’s game are long term injured pair Clark Robertson and Sean Raggett but there is better news of Joe Newell who looks to be on the mend after a hip injury which has kept him sidelined for a few weeks. City are on the same number of points as Rotherham but one place above in the table. A much changed side lost at the City Ground in the Carabao Cup in mid-week while, like the Millers, the Potters haven’t won away from home this season, their last away league game being at Hillsborough which saw Stoke lose a two-nil lead and end up with a point from a two-all draw. Mame Diouf could play some part in today’s game after a hamstring injury and although James McClean has returned to training this game could come to early for him. Potters’ Boss Garry Rowett will also be without injured duo Ibrahim Afellay and Sam Clucas. Referee David Webb is in the middle for this game and is assisted by Steven Meredith and Mark Russell with the Fourth Official being Darren Bond. All positions in table correct at time of printing. 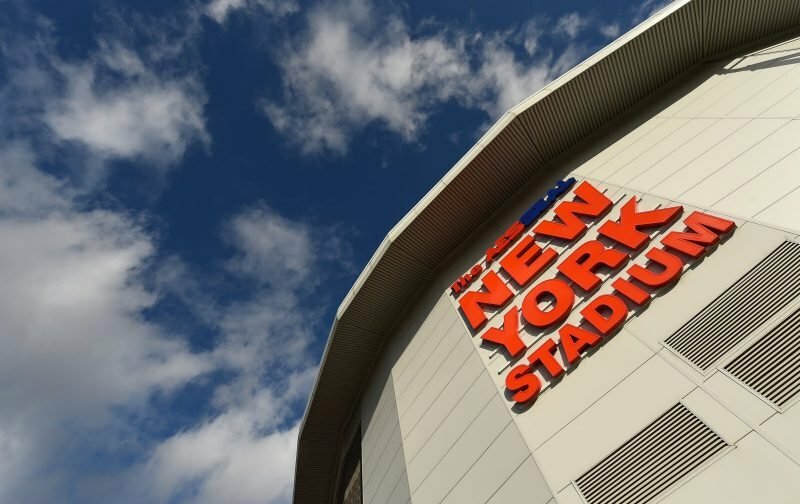 The Millers next game will be on Wednesday, 3rd October when Bristol City are the visitors to the New York Stadium. Kick-off will be 7.30pm.